Anthology of thirteen short stories, perfect for cold nights by the fire and snowed in days off work. Features Secrets (Never Told) by Richard Wright (Shroud Publishing 2008). 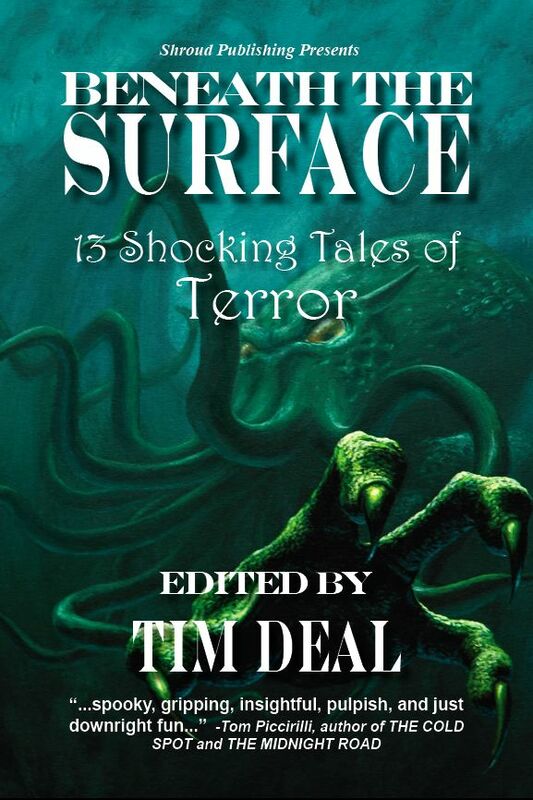 “Beneath the Surface is loaded with powerful tales from powerful voices. From Scott William Carter’s atmospheric “Stone Creek Station” to Angeline Hawkes’s tale of cursed bones, to Richard Wright’s thoughtful “Secrets Never Told,” you will likely feel…uncomfortable…and so much happier for it.” – Stephen Mark Rainey,author of Blue Devil Island and The Lebo Coven. “There are literally no clunkers contained within this anthology.” – Norman L Rubenstein, Fearzone.